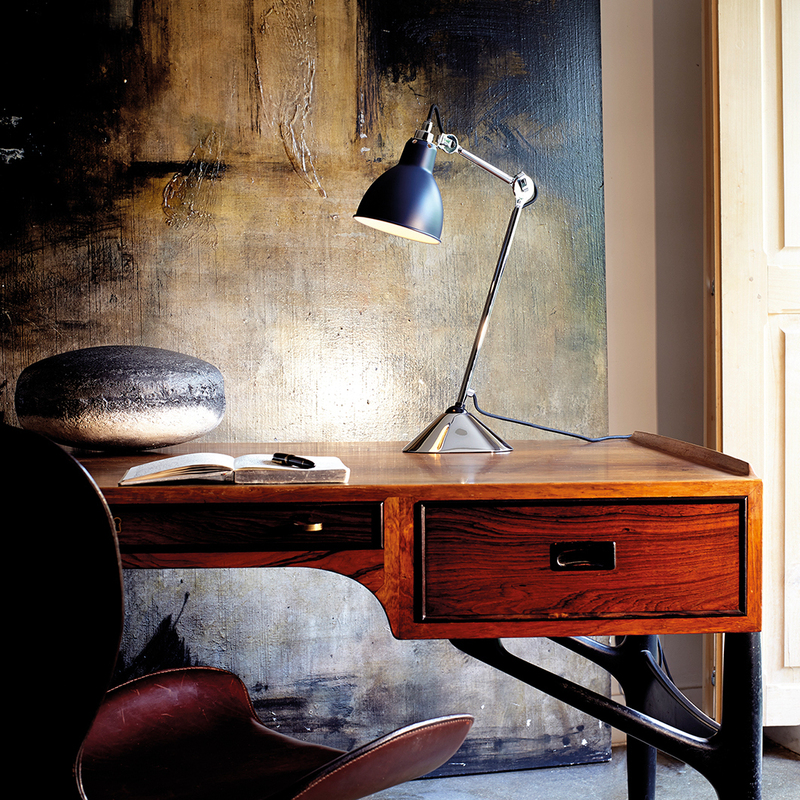 The Gras 205 table lamp was originally designed for offices. 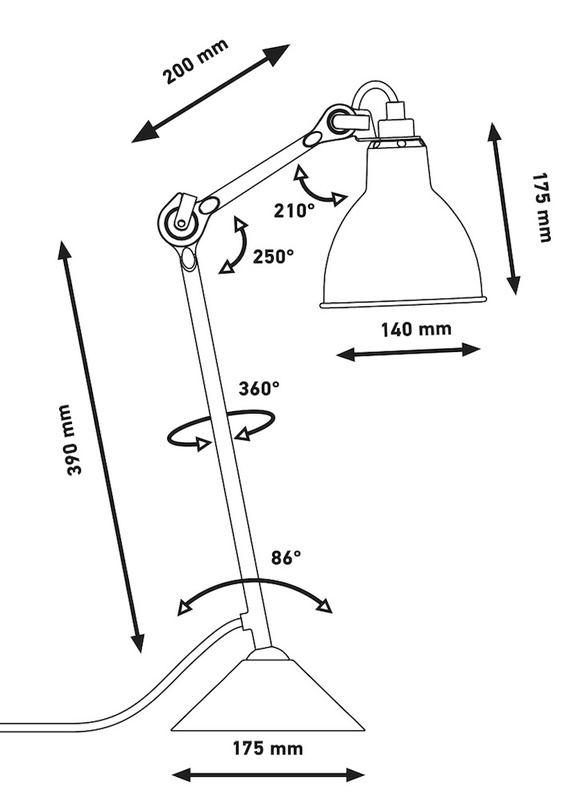 This is stable table lamp with a unique triangular graphic base. Its elegant silhouette allows it to be highlighted in all situations. Its qualities: elegant, graphic, well balanced, playful.